As this podcast has grown in popularity, I have learnt that many of you are personal trainers who are both passionate about evidence-based exercise and growing your business. This interview is for you. Luke Carlson is CEO and Founder of Discover Strength, a successful evidence-based training organisation in the US. He is a practitioner, speaker, and author on strength training and science-based exercise programs. 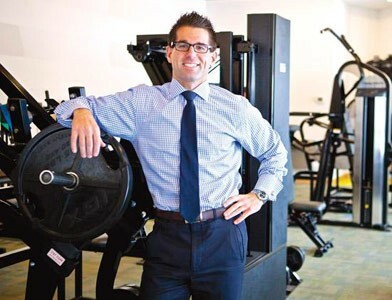 Luke is an American College of Sports Medicine certified Health and Fitness Specialist (HFS) and holds the unique distinction of being an American College of Sports Medicine Certified Cancer Exercise Specialist (CES). Luke earned a Bachelor of Science degree in Kinesiology and a Master of Science in Kinesiology with an emphasis on Exercise Physiology from the University of Minnesota. After Luke reveals his top secrets for success in the health and fitness business, we shift gears back into exercise science to understand the Discover Strength exercise protocol and Luke’s personal exercise regime, which has an interesting twist! This episode is sponsored by Hituni.com, providers of the best online courses in high intensity training. Whether you want to take their Full Personal Trainer Course or DIY HIT for Health course, simply add the course you want to your shopping cart and enter the coupon code CW10 to get 10% off your purchase! What does Kinesiology mean in the context of Luke’s educational background? What business KPIs should you track? Why do most health and fitness businesses fail? How does Discover Strength motivate people to participate in high intensity strength training? What makes Discover Strength different? What are some of the problems with High Intensity Training? How is marathon running detrimental to skeletal and cardiovascular health? Click here to leave a review on Stitcher (scroll halfway down and click ‘Write a review’ above the list of reviews on the right hand side).